Looking to have a good time? 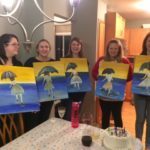 Why not have a paint night! 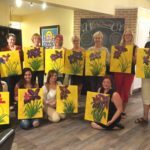 Hosting a paint night is a fun and exciting way to celebrate a birthday, milestone, or just to have a fun get together with friends! 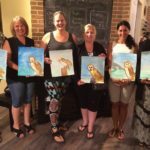 For this event, an artist will travel to your location and provide a 1.5 hour painting lesson for the group! 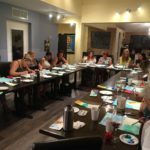 We provide all the materials and each person gets to take their painting home afterwards. 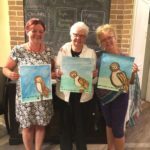 The painting theme can be customized to a certain art genre or artist, or can be a favourite image, thing or animal. The possibilities are endless! E-mail us for with any questions and for available dates.